Perhaps it was John Adams and his opera Nixon in China (which premiered in 1987) who showed that story telling was still acceptable in contemporary opera; the idea of straightforward narrative with beginning, middle and end. But Adams based his opera on historical events, though the piece is very much about the creation of a modern myth. 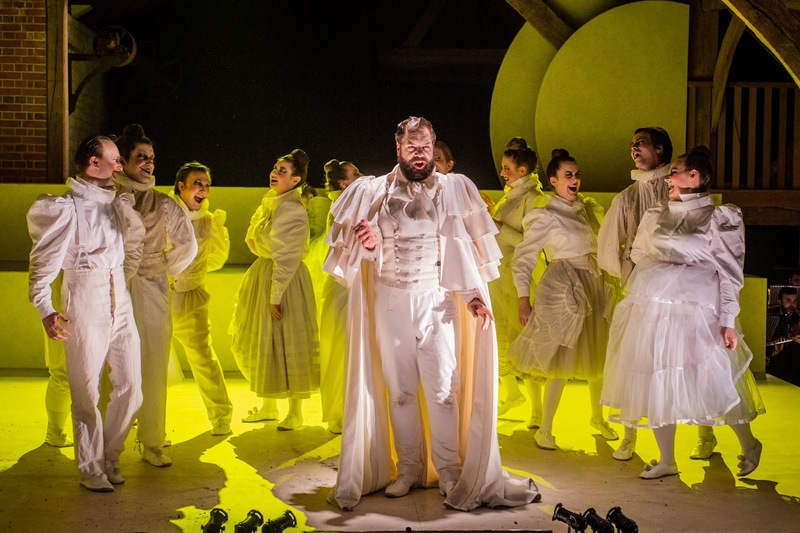 With the notable exception of Sir Harrison Birtwistle, the idea of using traditional myths, fairy-tales or folk tales as an operatic source was not something that featured that much late 20th century opera. Yet last month, I attended three new operas by young composers, one based on myth, one on fairytale and one on folk tale, demonstrating that these rich sources of inspiration had returned to more regular use in the creation of new opera. In the 19th century, folk tale, fairy tale and myth were common currency of the opera libretto, Composers such as Weber and Marschner established the new German romantic opera based very much on German folk tales and fairy tales, and Wagner developed this, creating his own very personal mythology based on folk tale and myth. Wagner's success gave rise to generations of emulators, all by and large failed to achieve what he did. Few now remember Reyer's Sigurd though Chausson's Le roi Arthus gets an occasional outing, but Albeniz's Merlin remained buried for decades. One composer stands out from this post-Wagner crowd, Engelbert Humperdinck whose fairy tale opera Hansel and Gretel manages to be Wagnerian in construction, yet delightful and light in touch. Fairy-tale opera developed into quite a late 19th and early 20th century genre, Humperdinck would write a number and his pupil, Siegfried Wagner (Richard's son) did too. Over in England Rutland Boughton mined Celtic myth for popular hits like The Immortal Hour (which created something of a record by running for 216 consecutive performances at its London premiere in 1922) and Stanford's final opera The Travelling Companion used a Hans Christian Anderson tale [see my review of New Sussex Opera's recent revival]. Yet changes were afoot. Wagner's sheer ubiquity prevented composers from successfully following him, and it is perhaps significant that the major German composer of the next generation, Richard Strauss, wrote opera in a very unWagnerian way. The giants of mid 20th century opera, Alban Berg, Benjamin Britten and Leos Janacek, all avoided fairy-tale and myth. Though folk-tales still creep in at one remove or two, whilst Schoenberg's Moses und Aaron remains a fascinating re-working of the idea of didactic myth-based opera. 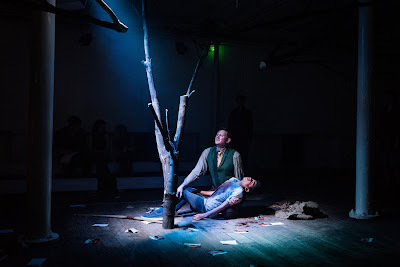 You feel opera in the 20th century moving away from fairy-tale, myth and folk-tale, particularly in the post-War period when the avant garde set about deconstructing the idea of opera and story telling entirely. It seems that we can now return to these tales, whose apparently simple and striking nature reflects the complexities of the human psyche. Harrison Birtwistle's use of folk tale and myth in his operas demonstrates the way these stories can reflect the darker elements. What was notable about my trio of new operas was the willingness to engage in storytelling for its own sake. Noah Mosley's Aurora [see my review] was based on an Italian folk tale, full of twists and turns, dark and light, with the leading character required to undergo travails before the happy resolution. Gavin Higgins The Monstrous Child [see my review] was based on a children's book, Francesca Simon's re-telling of Norse myth, looking at the events through the yes of a teenage goddes. The effect was to feel that, Rosenkrantz and Guldenstern - like, Wagner's Ring was happening in the next room. Turning fairy tale, myth or folk tale into opera is quite a challenge, but rewarding when it succeeds, combining clarity and complexity with hints of the darker human psyche. I look forward to what further young composers will come up with.